Registration is now closed. We look forward to seeing everyone on Saturday. 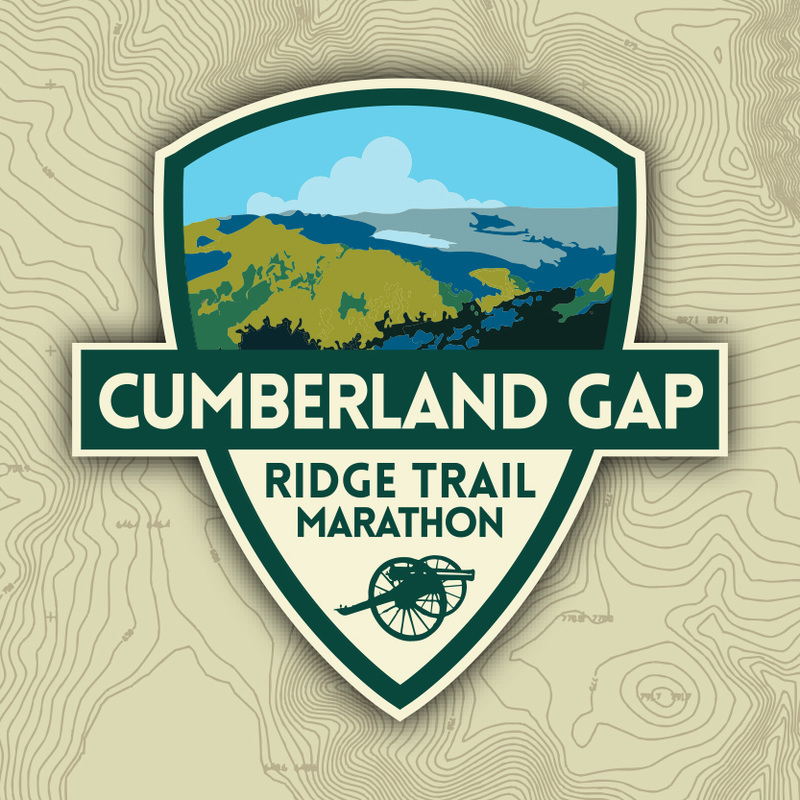 The Cumberland Gap Ridge Trail Marathon will be held for the first time in a unique and rare event held in the Cumberland Gap National Historic Park. Runners will run through 3 states during the Marathon running in Virginia, Kentucky, and Tennsessee. This challenging first time event will start at the Civic Park in Ewing, VA with participants running up Ewing/White Rocks Trail to the Ridge gaining 1500ft of elevation in the first 3 miles. Runners then connect and continue on the entire Ridge Trail running the length of the Cumberland Gap National Historic Park. While on the Ridge Trail runners will pass by Historic Hensley Settlement and have several spectacular views looking off the ridge. The trail along the ridge does have constant "rolling hills" with an overall elevation drop of 1100 Ft over the 16.5 mile length of the Ridge Trail. Once at the Pinnacle Parking lot runners will head down the trail losing 800 Ft in just 2 miles. Towards the bottom of these downhill miles runners will pass over the Historic Cumberland Gap and continue on off the Iron Furnace trail into the town of Cumberland Gap. Once in town runners will get a brief view of the finish line as they run to connect to the Lincoln Memorial University campus trails located on the edge of Cumberland Gap. This trail will have a steady 1 mile climb up to the main connection of trails behind LMU campus. Once on the main trail runners will have a nice decent coming off the trail and connecting to the final 2 miles of running to the finish along the Harrogate City Greenway back to the Town of Cumberland Gap.